Paul Arnold Matthews, age 68, of Greenville, passed away Friday, August 17, 2018 at Spectrum Health-Blodgett Hospital in East Grand Rapids. The son of Roy & Clara (King) Matthews, he was born on November 13, 1949 in Greenville. 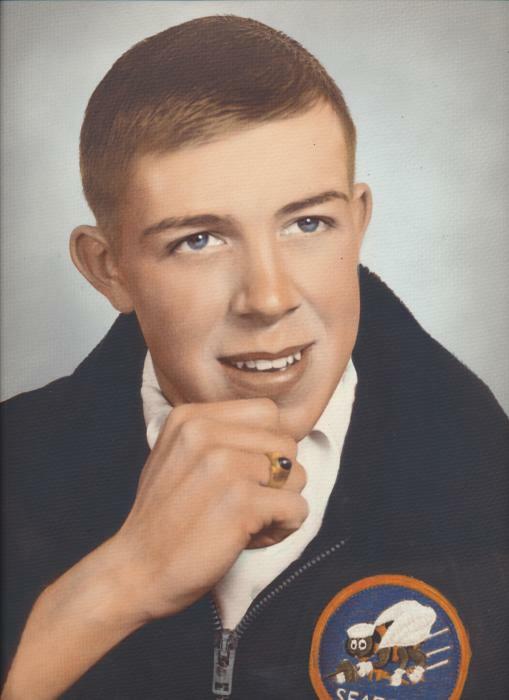 Following his graduation from Greenville High School, he enlisted in the U.S. Navy and was a proud veteran of the Vietnam War. Paul served with the SeaBees, attained the rank of Petty Officer 3rd Class, and earned the National Defense Service Medal, Vietnam Service Medal, Vietnam Campaign Medal, and a Navy Achievement Medal. He later served in the Michigan National Guard and attained the rank of Sergeant. On April 24, 1990, in Belding, he married Sandra Medler and together they enjoyed 28 years of marriage. Paul had worked as a roofer, carpenter, and builder for many years and enjoyed hunting and fishing. He was preceded in death by his father, Roy Matthews; and his step-father, Vern Wheeler. Surviving are his wife, Sandy Matthews of Greenville; his mother, Peg Wheeler of Greenville; a son, Mark Matthews; two daughters, Kristen & Ken Lund, and Paula & Steve Clark; six grandchildren; four great-grandchiildren; three brothers, Steve & Sue Matthews of Greenville, Alvin & Wanita Matthews of Lakeview, Guy & Fredia Matthews of Orleans; two step-sisters, Fonda & Larry Jones of Turk Lake and Jillene Wheeler of Grand Rapids; his mother-in-law, Virginia Medler of Trufant; siblings-in-law, Donald & Janet Medler of Grant, Debbie & Tery Schuiteman of Newaygo, and Karol Medler of Trufant; and several nieces and nephews. Visitation is from 12-1 p.m. on Wednesday at Christiansen Cremation & Funeral Care, 511 S. Franklin Street,Greenville, where funeral services will be held at 1:00 p.m. on Wednesday. The Rev. Kenneth Harger, retired pastor of Shiloh Community Church, will officiate and military honors will conclude the ceremonies. Burial will take place privately at Fort Custer National Cemetery, Augusta. To send a message of sympathy to the family, sign Paul's online guest book, or to share a favorite memory, please visit: www.ChristiansenCares.com Arrangements are entrusted to Christiansen Cremation & Funeral Care, honored provider of Veterans Funeral Care.